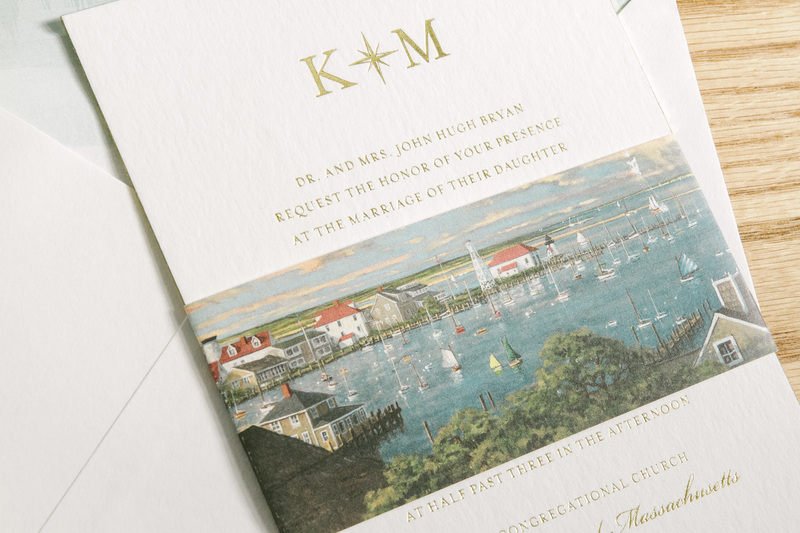 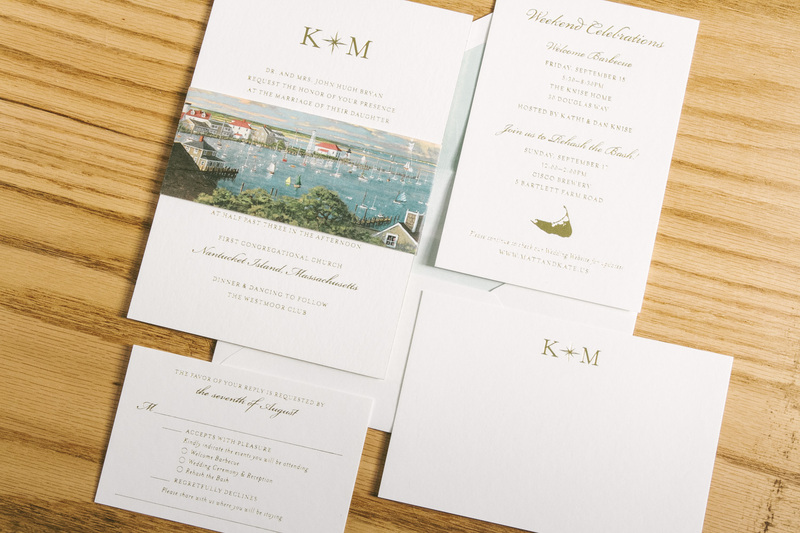 Tiffany and Paul personalized our Wessox invitation suite to fit their traditional Nantucket wedding. 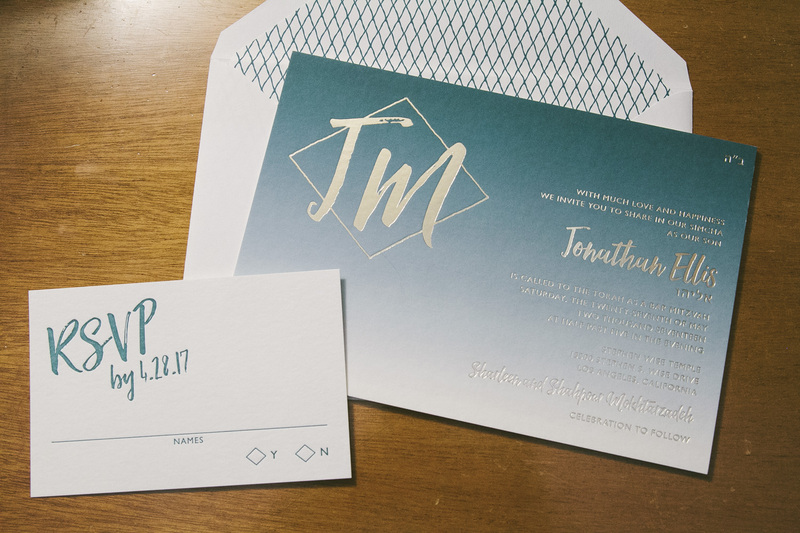 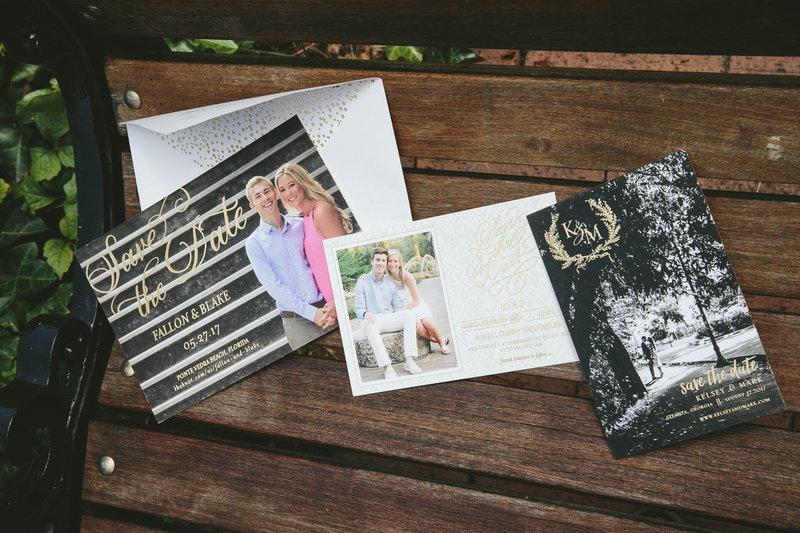 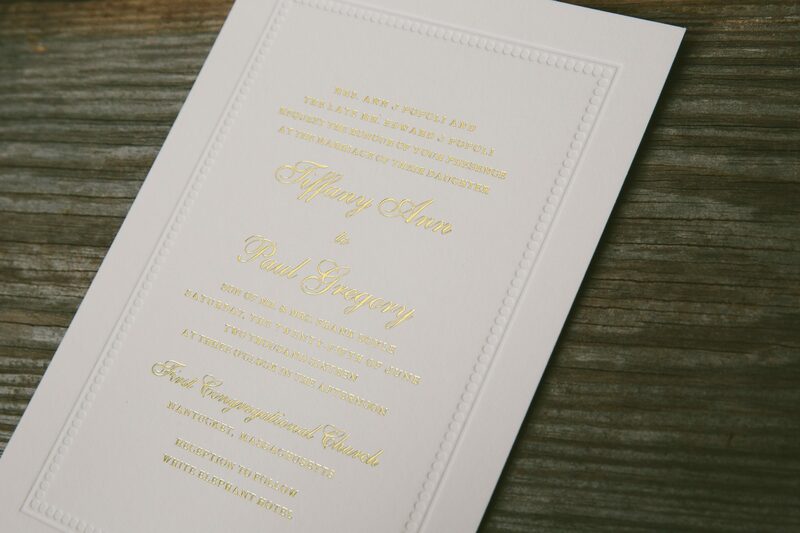 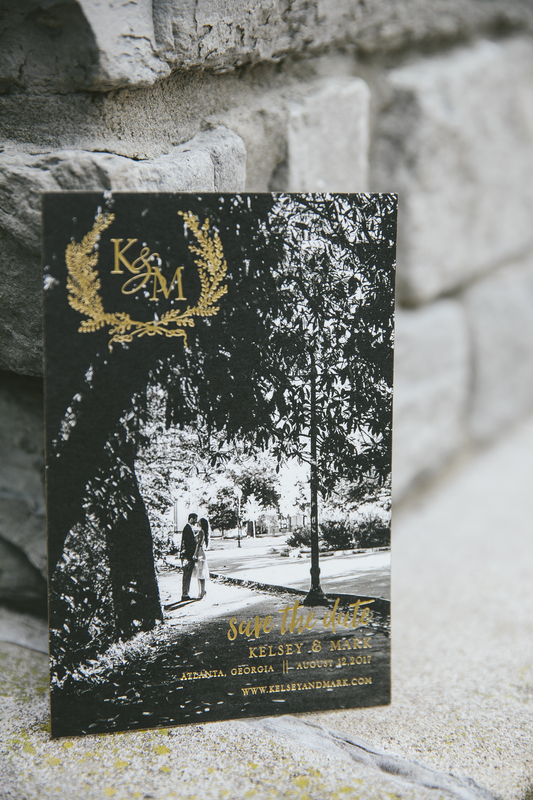 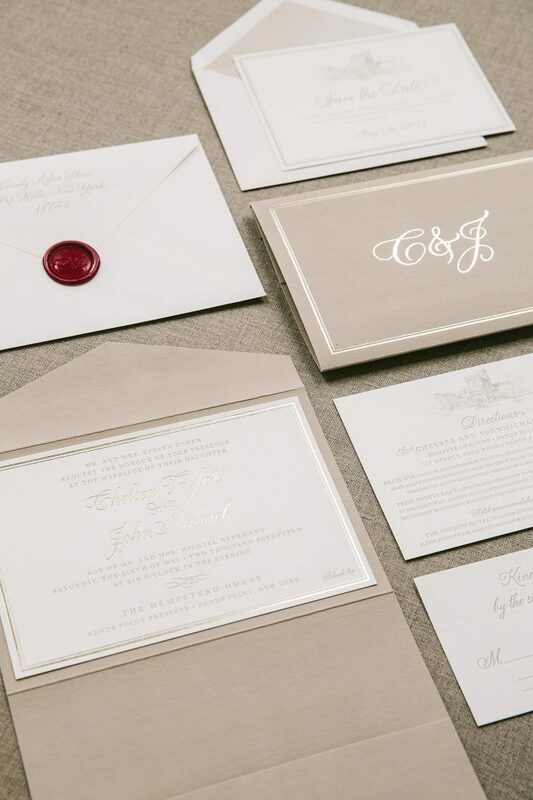 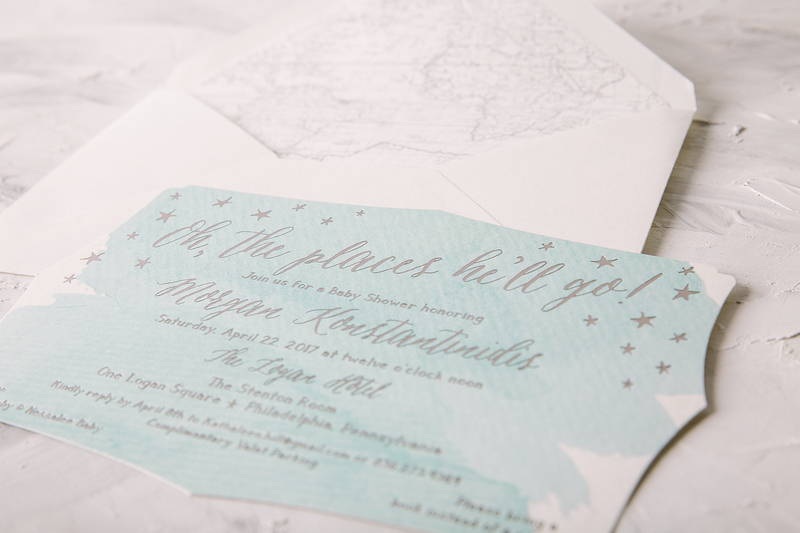 These timeless foil stamped wedding invitations came together thanks to the help of Gus and Ruby. 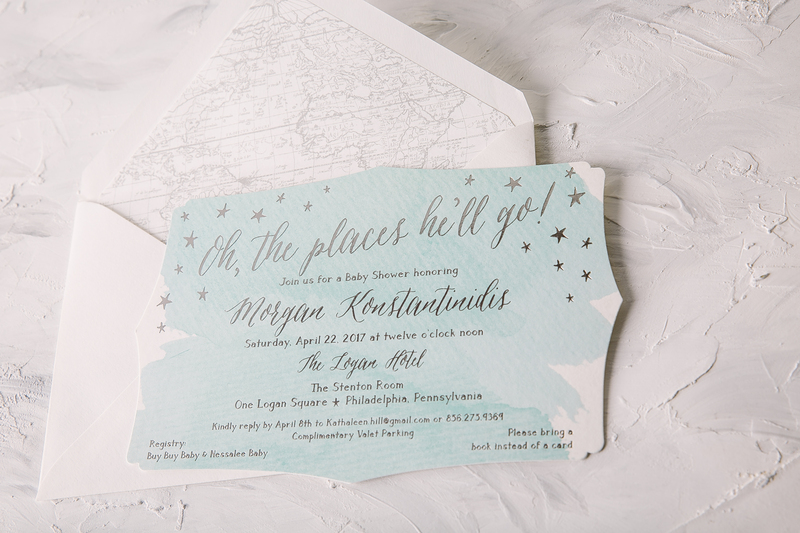 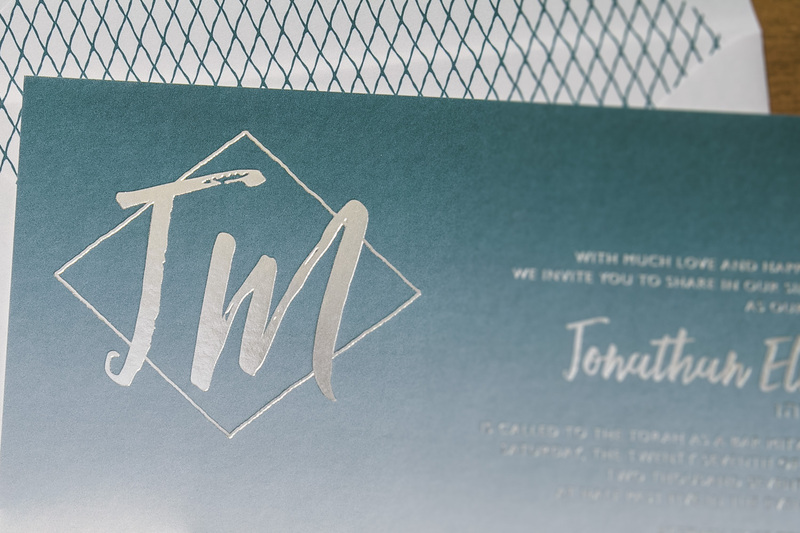 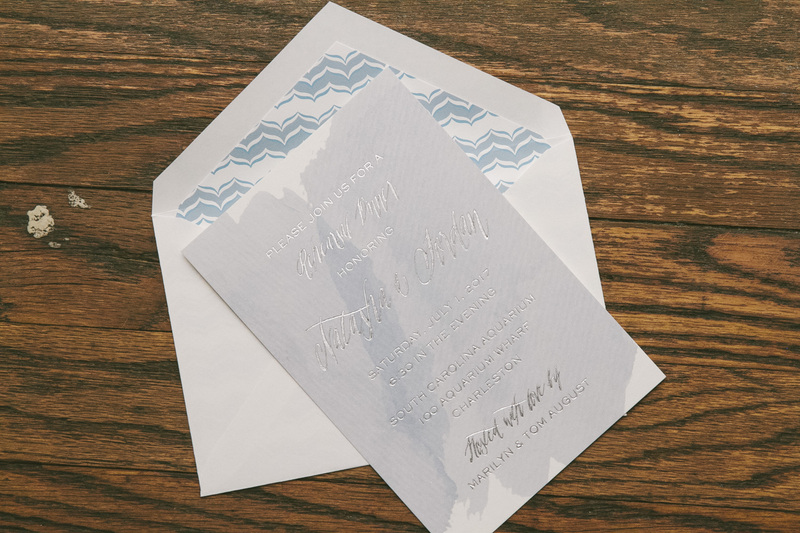 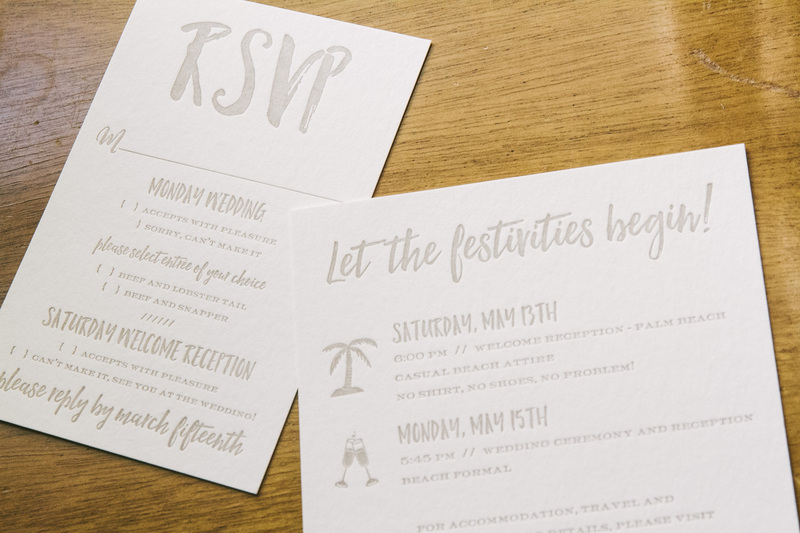 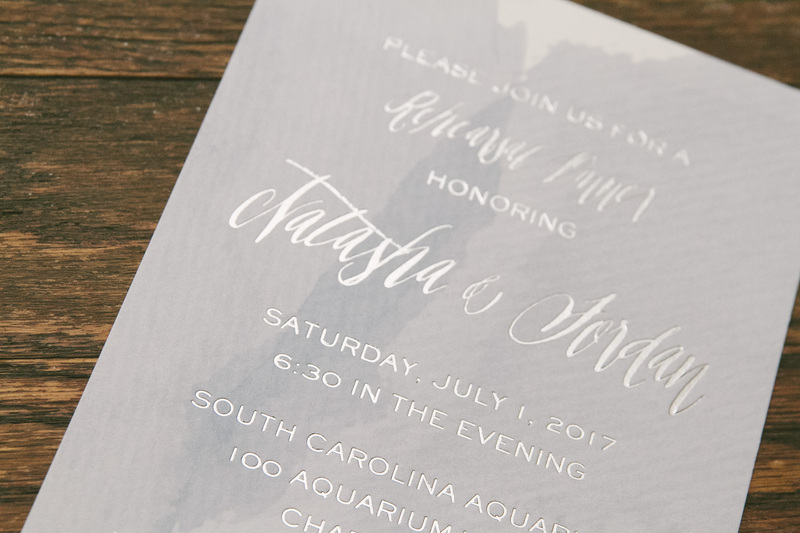 To give the invitation a little extra love, they decided to add a simple yet elegant blind deboss border to the design. 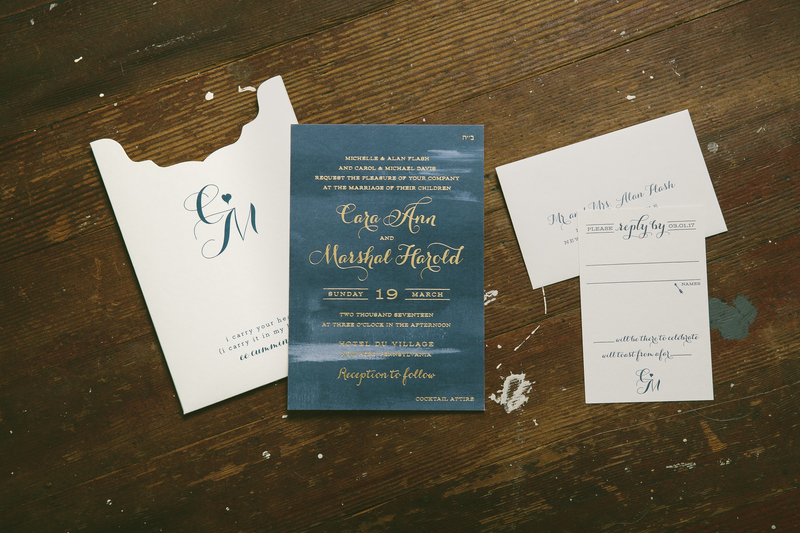 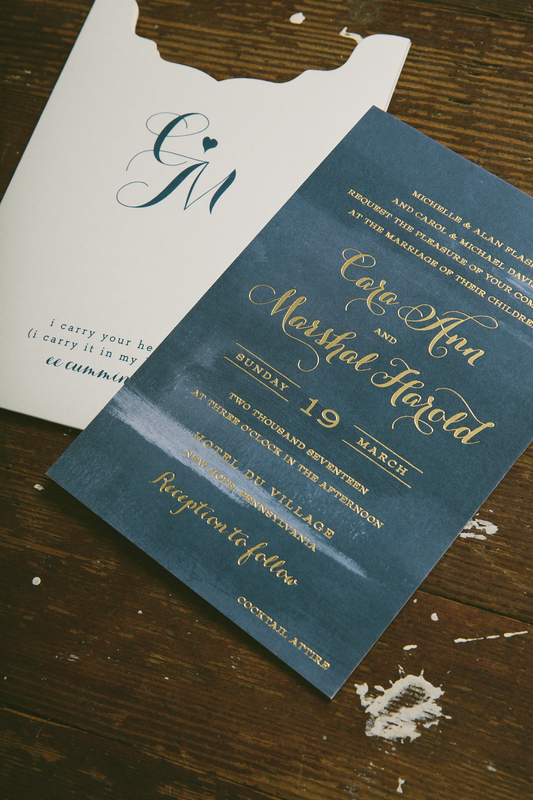 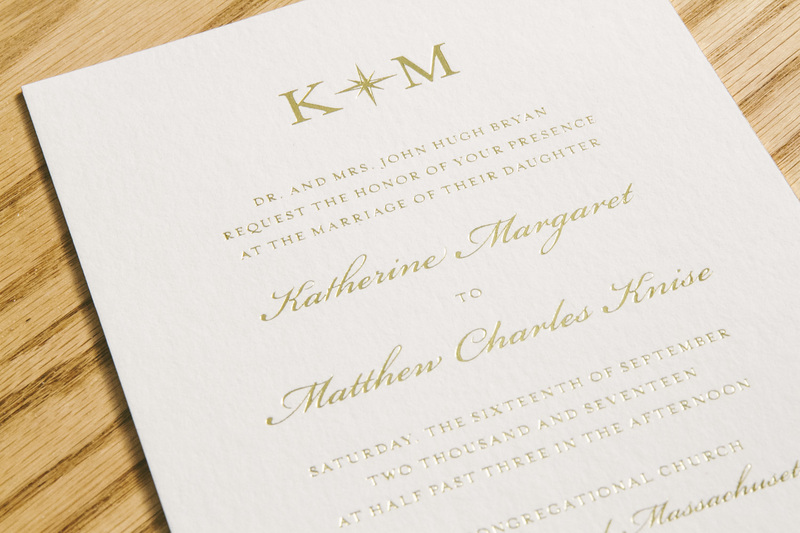 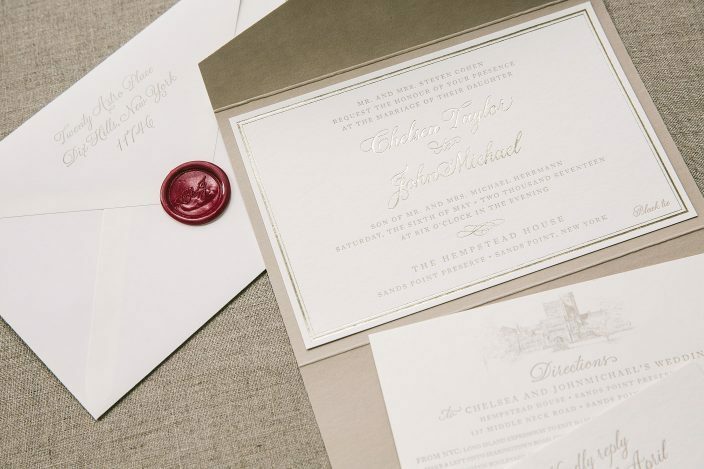 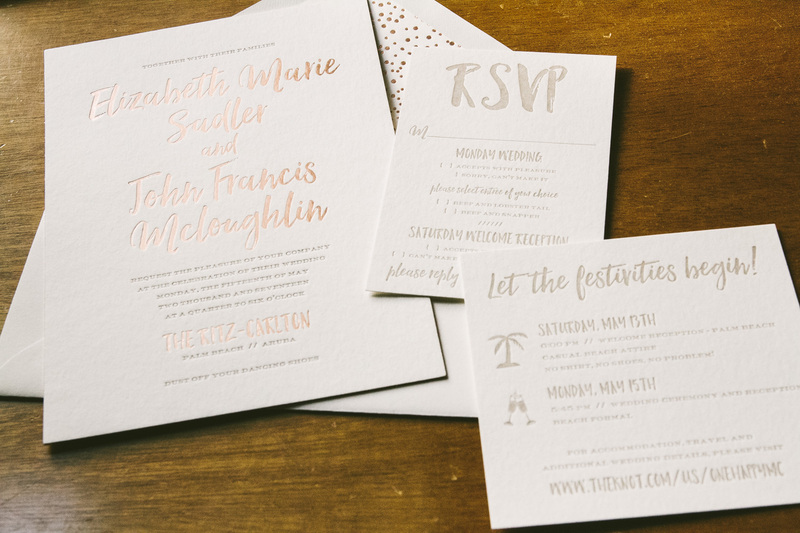 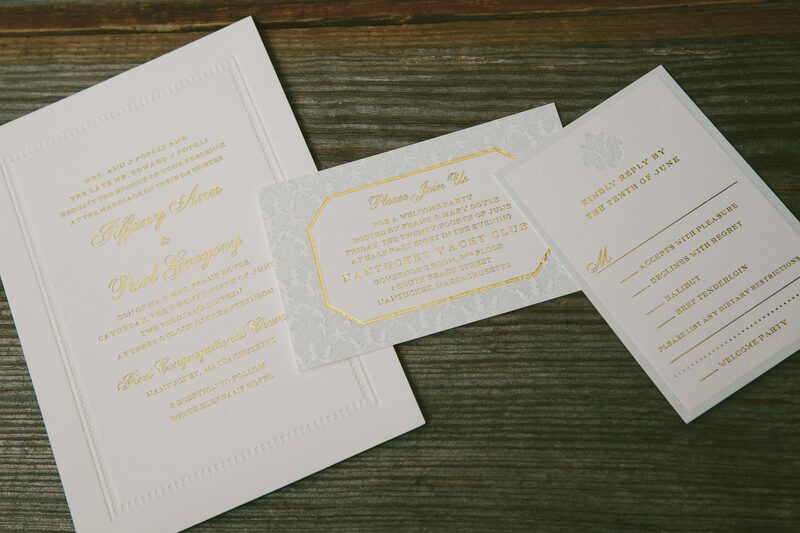 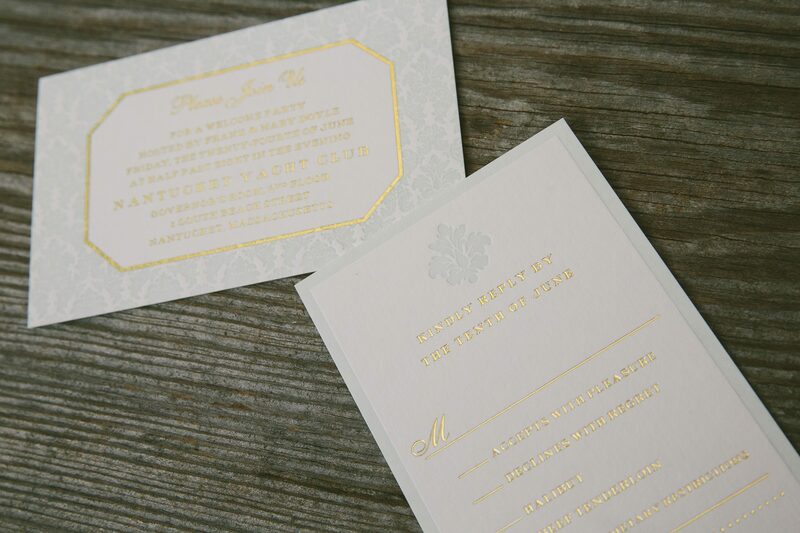 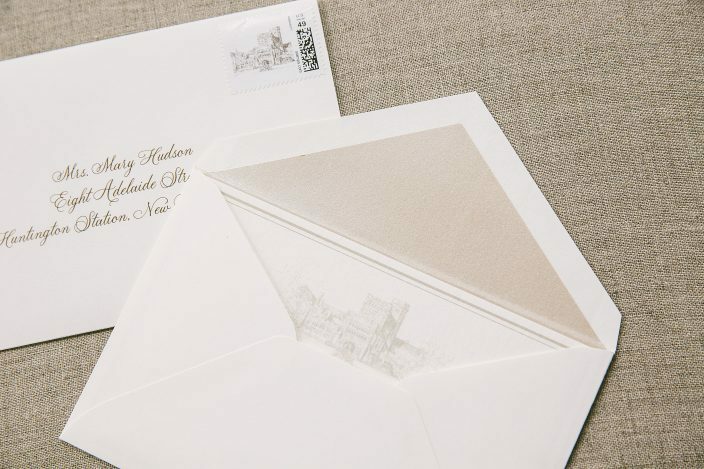 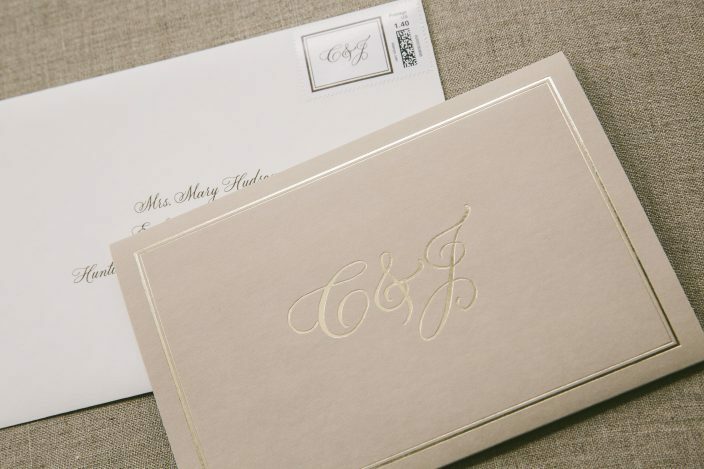 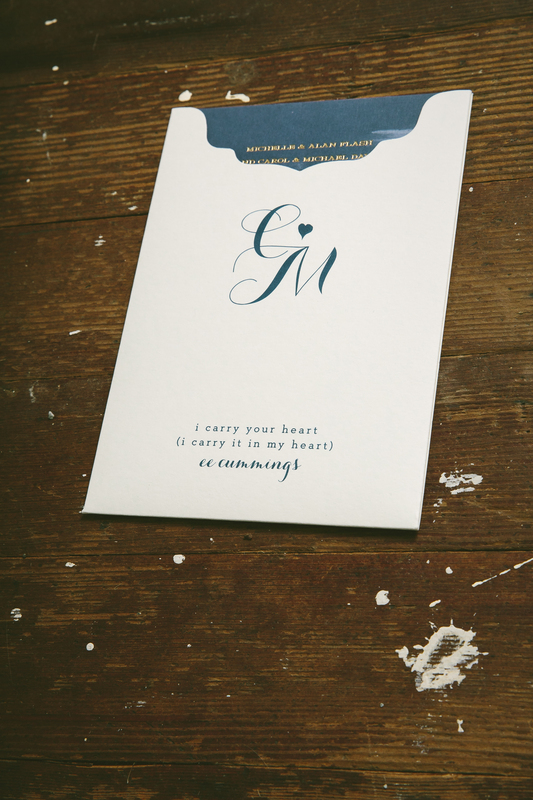 The touches of a damask pattern in cloud letterpress added a luxurious finish to the welcome dinner and reply cards. 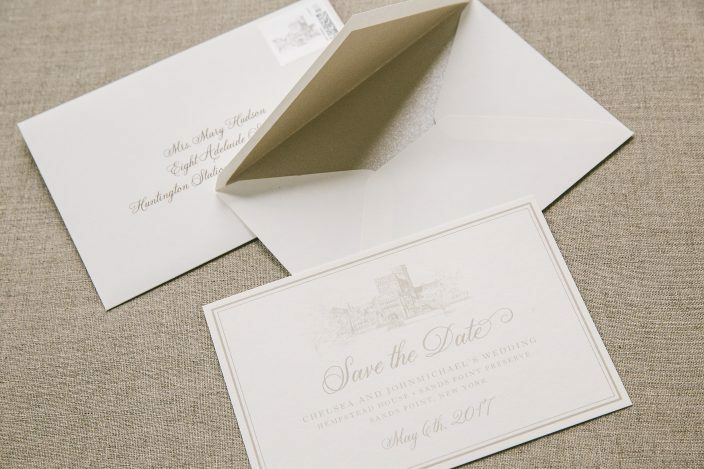 The best part of it all? 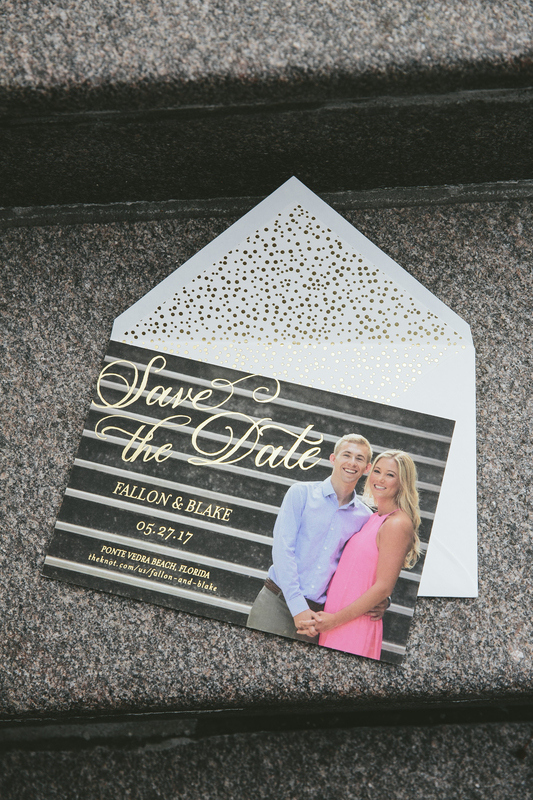 A different type of border was featured on each piece to create a cohesive overall look to the suite without being too matchy-matchy. 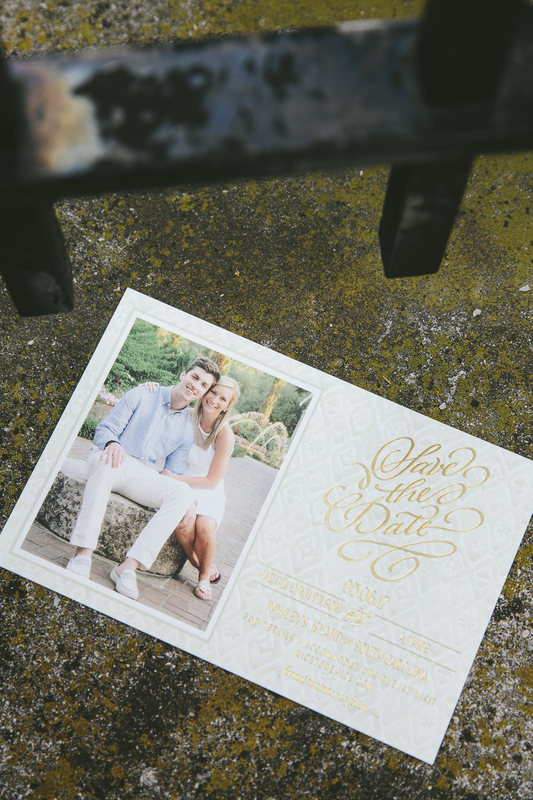 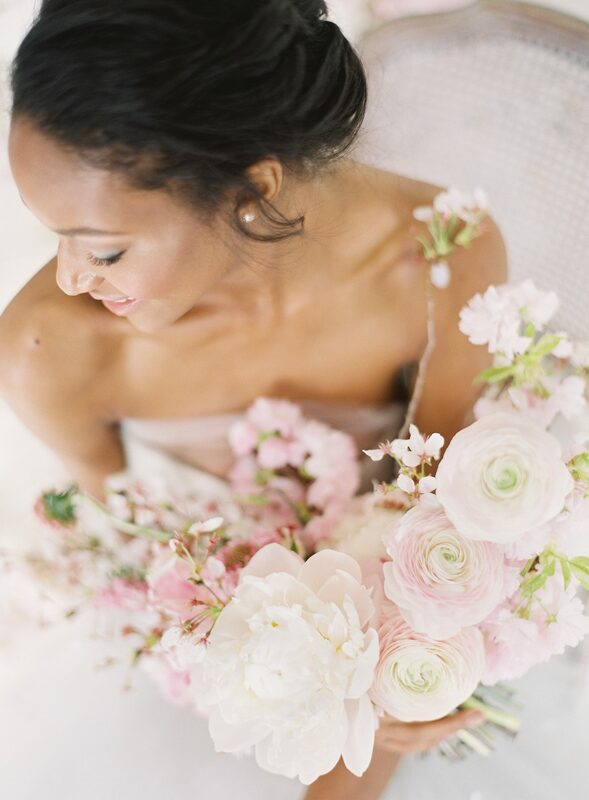 Natalie and Daniel rang in the new year as newlyweds at the beautiful Bacara Resort in Santa Barbara, California. 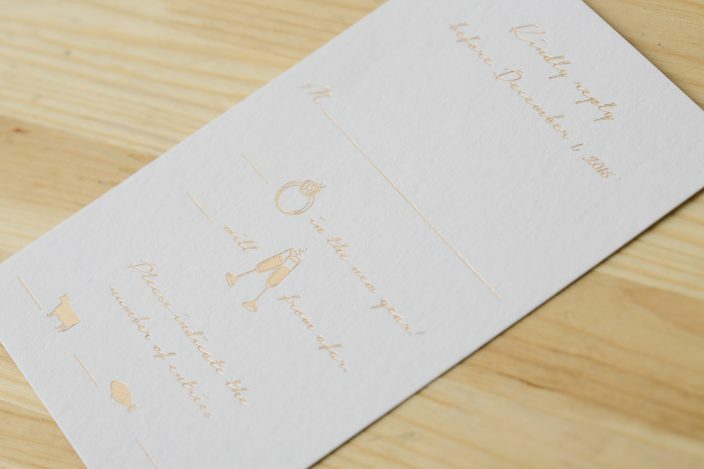 We had the pleasure of working with Events to create Natalie and Daniel’s romantic bronze shine foil wedding invitations. 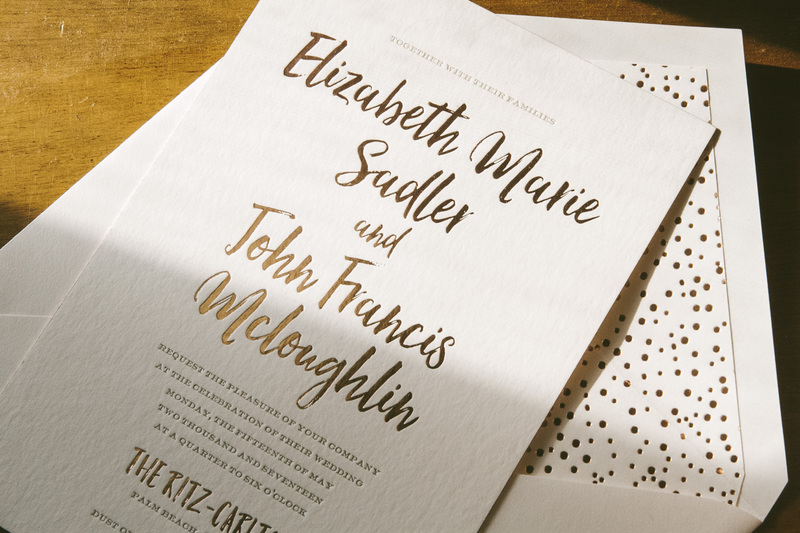 The couple personalized our Linden suite with a pretty vintage print and bronze shine foil for their New Year’s Eve wedding. 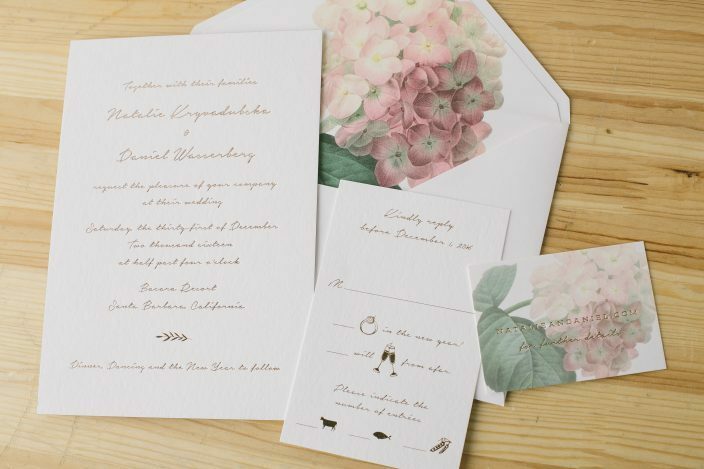 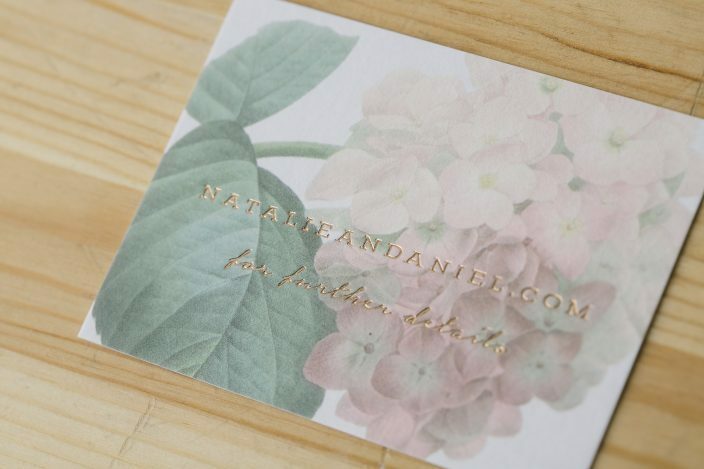 We created an elegant foil stamped wedding invitation and a reply card (complete with cute motifs) for the main components of their suite, while their digitally printed and foil stamped website cards mimicked the romantic, vintage hydrangea pattern on their envelope liners.